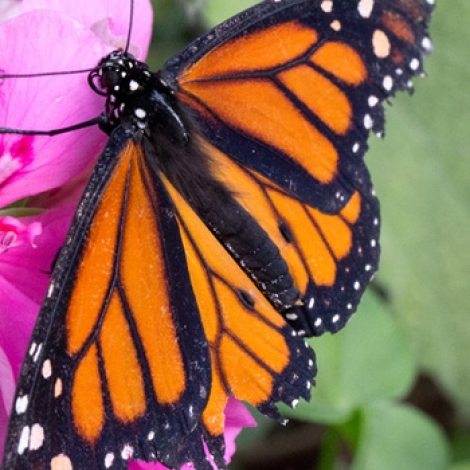 Is it true that the Monarch Butterfly is on the brink of extinction? How did we let that happen? While the mighty Monarch Butterfly may not be on the endangered species list yet, environmentalists think it should be – and have petitioned the federal government accordingly. In a 2016 lawsuit, the Center for Biological Diversity and the Center for Food Safety joined forces to successfully sue the federal government to force a decision on whether or not to include the quickly vanishing Monarch on the list of endangered species. According to a recent study published in the peer-reviewed scientific journal Biological Conservation, Monarchs have declined across their usual migratory path in the western United States by some 97 percent in just 35 years. Back in the 1980s, upwards of 10 million Monarchs traversed this flyway annually, whereas only 300,000 or so now make the journey in any given year. Even more troubling, researchers warn that if present trends continue, Western Monarchs face a 72 percent likelihood of going extinct within 20 years and an 86 percent chance of extinction within a half-century. Global warming is also causing a massive decline in the Monarchs’ food source, the milkweed plant. Traditionally abundant in both native prairie habitats as well as on disturbed lands such as roadsides, ditches, cemeteries and even cornfields, milkweed is quickly becoming scarce due to the widespread application of herbicides to keep weeds down, and fast changing seasonal climatic conditions, as surface temperatures are rising across latitudes. What can we do to turn things around for the ailing Monarchs? For starters, plant milkweed. This simple act not only provides vital habitat for migrating Monarchs but also makes a statement regarding what you value for plants – and in life – in your backyard or garden. The hardy plant is easy to find and easy to grow, and if you have it in your backyard keep your eyes peeled for Monarchs, hummingbirds and other wildlife. The U.S. Fish and Wildlife Service is currently working to plant milkweed across some two million acres of public land along the Monarch’s key migration routes. Agricultural landowners can get in on the environmentally responsible action by signing onto EDF’s innovative Monarch Butterfly Habitat Exchange, which incentivizes farmers in Texas, Missouri and California through market forces to grow milkweed either between other crops or in fields that aren’t otherwise in use. CONTACTS: “Citizen science monitoring demonstrates dramatic declines of monarch butterflies in western North America,” sciencedirect.com/science/article/pii/S0006320717304809; Monarch Butterfly Habitat Exchange, www.edf.org/ecosystems/ monarch-butterfly-habitat-exchange. EarthTalk® is produced by Roddy Scheer and Doug Moss for the 501(c)3 nonprofit EarthTalk. To donate, visit www.earthtalk. org. Send questions to: question@earthtalk.org.